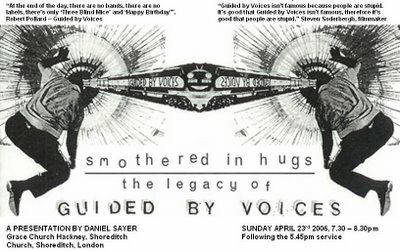 The presentation is called Smothered in Hugs: the legacy of Guided By Voices, and is on at about 7:30pm, following the evening service. If you’re in East London, pop in (info on the flyer below). 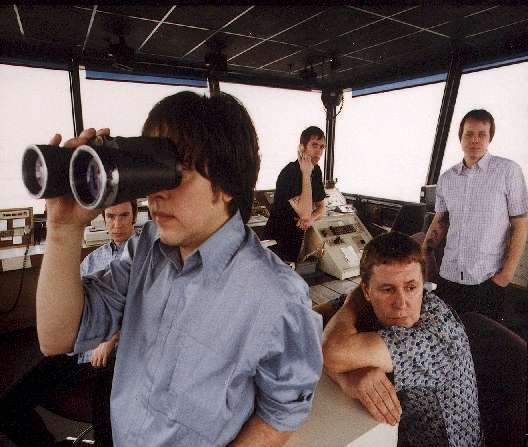 How often do you get to go to church to hear about a legendary indie band? Take the chance! Here’s one more - the title track of the presentation (also from Bee Thousand). GBV are a band i “got” (despite long-term exposure from various friends) at precisely the point after which they’d split up! classic timing. and my, is that back catalogue intimidating! this talk sounds really cool - i hope it goes well for your friend!